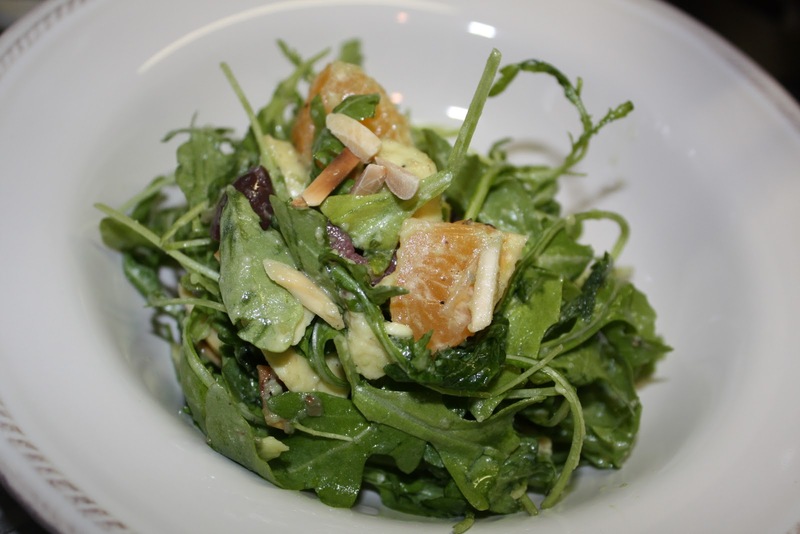 This is a wonderful and simple winter salad right when citrus is at its peak. The almonds add a nice crunch and the olives a good salty bite that pairs well with the creamy avocado. To make the dressing, combine the dijon mustard and the lemon juice in a bowl. Whisk in the olive oil until it emulsifies. Season with sea salt and freshly ground black pepper. Place the arugula, avocado and olives in a bowl. Toss with dressing and top with toasted almonds. Serve immediately.